Superhero blockbusters are certainly not a new thing, nor is the Marvel Cinematic Universe the first mainstream hit featuring an iconic Marvel character, but in comparison to decades past and the incredible marketability of anything comic book-related in theatres nowadays, putting the MCU and the rise of the mainstream superhero blockbuster dominance in perspective is necessary to understanding where Marvel’s cultural impact came from and where the label will go from here. Going back to the late ’90’s, Joel Schumacher’s horrendous disasterpiece, Batman and Robin, debuts in 1997 to critical disdain and rapid audience rejection, causing Warner Brothers to scrap plans for a fifth Bat movie until the franchise was later miraculously resuscitated in 2005 by Christopher Nolan’s Dark Knight Trilogy (2005, 2008, 2012) in what is considered one of the most unlikely and triumphant series reboots in cinematic history. More immediately though, and more important to tracing back the origins of today’s blockbuster climate, the horrible reception of BaR sent shockwaves throughout Hollywood and made many studios rethink their plans to produce similar superhero-adaptations. Mainstream superhero blockbuster movies essentially went on hiatus during the next three years until 2000. There were a couple niche, sidestream releases based on more obscure American comics developed with considerably smaller budgets like Spawn (1997) and Blade (1998) (the latter an excellent film by the way, the former not so much) released here and there after the nuclear fallout of Schumacher’s project, but none of these remotely resembled the mainstream cultural hits that came before or especially after. A few statistics provide ample contrast of the American superhero movie environment before and immediately after the release of Batman and Robin. From the years 1995-1997, there were a 18 superhero films released from Hollywood studios (exactly six per year), but during the years 1998-1999, only three movies based on comic books were made (the aforementioned Blade, The Mask of Zorro , and Mystery Men ). None of those films were based on well known mainstream characters like Superman or Batman, and none had particularly large budgets expecting massive box office payoff. In a sense, Batman and Robin didn’t just kill the Batman franchise, it temporarily killed all mainstream superhero movies! For a sense of how much things have changed since 1998-1999, over 60 films have come out in the past decade from 2004-2014 (perhaps even more depending on exactly how you define a superhero movie), so it’s safe to say that comic book movies, particularly those based on more universally recognizable American superheroes (Superman, Batman, X-Men, Spider-Man, etc. ), have returned in a big way. Far more superhero movies are being released annually than in the decade before BaR, too. What exactly happened to spark this “rebirth” of the superhero film, to its return to cultural dominance like never before? Many successful superhero films came out was what happened, but they didn’t all come at once. A slow but steady buildup was required. At the turn of the millennium, Bryan Singer’s X-Men (2000), the first feature film adapted from the beloved comic series, opened to positive reviews and solid box office success. This was the beginning of the climb. Soon after in 2002, the first big-budget movie adaptation of an even more mainstream Marvel character, Spider-Man, opens with a massive $140 million price tag and blows away all expectations, hauling in over $821 million. That’s over a billion in revenue in 2014 dollars. From then on the superhero movie as a staple of Hollywood pop culture began to gain more and more steam. X2: X-Men United (2003), Singer’s much anticipated followup to the Hugh Jackman-star breakout original, opened the next year to even better reviews and a $407 million box office smash, and has since been regarded as the finest in the X-Men series. In 2004, Sam Raimi’s second Spider-Man film mimicked its X-Men rival’s sequel and was met with even more rave reviews than its predecessor. And then came the year 2008, the progenitor of the modern of superhero craze. After a shockingly positive reception to the equally shocking and unlikely quality reboot of the Caped Crusader in Batman Begins (2005), anticipation was sky-high for Christopher Nolan’s followup, The Dark Knight (2008), set to feature Batman’s archnemesis, The Joker, played by a then-recently deceased Heath Ledger. To put things in perspective, hype surrounding the sequel to the miraculous revival of Batman (which was then considered by many to be actually better than all previous film incarnations of the character) featuring his most famous villain would have been immense even without Ledger’s untimely demise at the hands of sleeping pills. Anticipation was through the roof, however, as Ledger’s death following the shooting of such a high-profile film provided tabloid fodder for months. The best calling card left by the movement — without a single doubt. Needless to say, The Dark Knight was a smash hit and has since gone on to become a cultural phenomenon like no other comic book before or since. The movie grossed over $1 billion at the box office and Ledger deservedly nailed a posthumous Best Supporting Actor Oscar, the only major Academy Award ever given to a superhero-based film. Moreover, Nolan’s TDK trilogy cemented itself as the definitive Batman film series and Nolan himself has gone on to become a household name, beloved by comic book geeks the world over and who now prompts fanboy boners from whatever he touches. III. Marvel’s Impact on the Global Cinematic Culture, Modern Blockbusters, and the Superhero film. Come to think of it, it’s hard to decide which major superhero film released in 2008 had a greater impact in the years that followed: The Dark Knight or Iron Man. As I mentioned earlier, the former is responsible for one of the most irritating blockbuster trends of the past six years, namely encouraging many copycat movies to adopt their own style of Caped-Crusader-darkness and morbidity to their own detriment (e.g. Skyfall , The Amazing Spider-Man , Man of Steel ), but all things considered is regarded as the best superhero movie-adaptation ever made and arguably the first of which to climb beyond its pulpy subgenre limitations. As for Iron Man, it too challenged comic book-movie conventions and showed that the source material had plenty of potential to stretch beyond its cartoony stereotypes and lowbrow public perception, but the waves it made in Hollywood were the polar opposite of Nolan’s brooding watchful guardian. An Iron Man film had been in development in one form or another under one studio or another since 1990, but the rights to the character weren’t finally reacquired by Marvel itself until 2006. The idea of creating a shared fictional film universe owned and produced independently by Marvel had been coalescing since the year before, so acquisition of Iron Man back into the Marvel fold finally set those plans in motion. In hindsight, Marvel took a giant risk investing in such a potentially huge cinematic endeavor. Their choice to take control of their own destiny is commendable despite what a no-brainer the decision seems like now. How could anyone have known that such a project as this could’ve been this explosive even with the buildup of successful superhero movies in the years prior? Aside from a few anomalies here in there (e.g. Alien vs Predator ), the idea of an expansive, shared universe was virtually unheard of in Hollywood. It’s well known these days that sequels to successful blockbusters aren’t just a bonus anymore, they’re expected, because studios want film series that they can expand upon and mine until people are sick of them (and then generally keep going until people finally refuse to pay). In other words, Hollywood moguls don’t want singular successful films, they want franchises. Marvel’s Cinematic Universe was at the forefront of that emerging mindset, and its runaway success with their shared universe has inspired other studios to make their own (e.g. Sony’s work with The Amazing Spiderman films [2012, 2014] and potential plans for a Sinister Six movie, DC’s Batman v Superman, etc.). Again, long-running series with multiple sequels aren’t exactly a new thing, but Marvel’s franchise is different than the narrative structure and evolution of your typical film franchise. 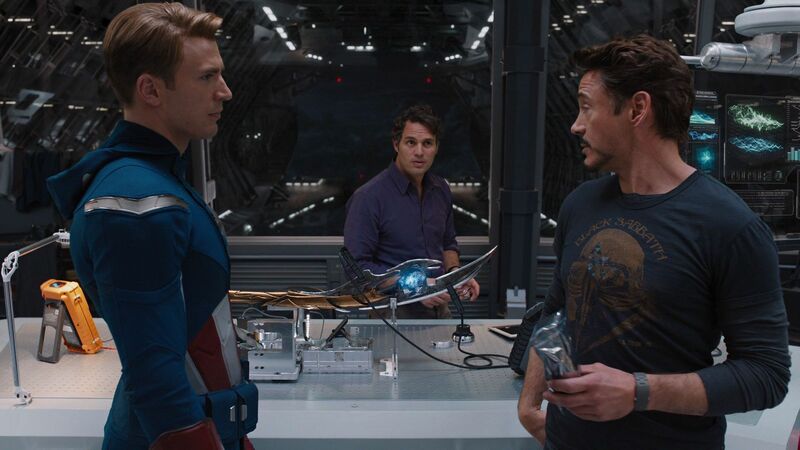 The MCU is, in truth, a bunch of smaller series that interweave and connect with each other, with different minor details rippling into accompanying primary character’s storylines and teasing developments from one entry to the next. As the franchise has progressed and become more established among mainstream audiences, the connections between the standalone films have become progressively more obvious. Much of this is a good thing now that the series’ primary test of public confidence was passed after The Avengers miraculously lived up to its hype (an achievement that rivals the revival of Nolan’s Batman), but inevitably the absence of major characters in standalone films have become increasingly obvious and frustratingly unbelievable. Speaking of those major characters, a further important factor that made Marvel’s decision to strike out on their own such a risk was who they built their universe on. While the characters of Iron Man, Thor, The Incredible Hulk, and Captain America are household names now, before Iron Man’s debut in 2008 all four “primary” Avengers were secondary Marvel characters at best. Sure, comic book geeks have known and followed these guys for decades, but the Average Joe didn’t know much about Iron Man other than he flew around in a metal suite and that Captain America was a very patriotic guy with a red, white, and blue shield. Far and away the best known of the main MCU Avengers team was the Hulk, and even he wasn’t that marketable given his past history on cheesy cable television shows and a poorly received feature film debut in 2003 (Ang Lee’s Hulk). Also, nobody had a clue who Thor was prior to 2011. While it is tiresome that Marvel is determined to scrape the bottom of their source material to sustain their franchise (the series principle villain, Thanos, is a character almost nobody outside the geek-world knows by name), the fact that the MCU has done so much with such initially low-market value brands is a tribute to their marketing and world-building prowess. Marvel has used their market savvy to turn some of their most forgettable secondary characters (e.g. Iron Man, Thor, Black Widow, etc.) into mainstream pop culture icons. Whether these names will be remembered ten or twenty years from now remains to be seen, but for now Marvel hasn’t much to worry about sitting atop their mountains of box office cash and movie market dominance. With respect to the changing mindset with which Hollywood now builds its franchises, the Marvel Cinematic Universe unquestionably remains the ideal model. Kevin Feige, the original mastermind behind Marvel Studios and current producer on all MCU feature films, broke the mold with his ambitious “extended franchise universe” concept. In less than a decade since Iron Man’s debut, Warner Bros. and DC Comics have responded with their own DC Extended Universe (built upon the aforementioned Man of Steel), 20th Century Fox has extended their X-Men series (2000-present) to encompass Wolverine solo-film spinoffs(2009, 2013, 2017) and Deadpool (2016), as well as soft-rebooted their Alien franchise (1979, 1986, 1992) with 2012’s Prometheus and 2017’s Alien: Covenant, and Universal Studios and Sony have both attempted and thus far failed at building classical monster-movie (Frankenstein, Mummy, Wolf-Man, etc.) and Ghostbusters (2016) shared universes, respectively. I think the superhero films have saved the box office. They add up to roughly $2B+ each year. Take that out and it’d be way down on past box office return. But that’s a hard one to predict, maybe other films would have plugged the gap. I think this new era will be a two horse race though. Its between Warner Bro./DC and Disney/Marvel. Sony and Fox will not be able to compete, they’ll hang on for dear life but sooner or later they will be forced out of the market. Just superhero films of course am sure fox will get by on its Avatar Billions and Sony erm yeah, Sony as a whole looks pretty bad right now. Columbus Pictures might get sold if the larger company cannot stabilize its profits. Now back to superhero’s. I think if they keep the same formula they they will go like the Western but if they change it up then it can last forever. No origin stories for characters that are well and truly established, Batman, Spiderman Etc. No more ending them with a battle in a city (Even Guardians of the Galaxy). No more bland villains, make them crazy, make them angry, give them a back story, stop twirling mustaches and create a real character! Me too, I’m looking forward to several other superhero films coming soon also (Ultron, Cap 3, Batman v Superman, Wonderwoman), but pretty much everything else I couldn’t care less about 😛 I mean *everything* besides those, I have zero interest in. The fact of the matter is: Unless superhero movies REALLY change up their game and tone to the point where they don’t even feel like what we normally perceive as comic book-films, they won’t last. They just won’t. No trend in the movie business is forever. The MCU and the DCU will not last endure past 2020, if at all, unless they *signficantly* change their formula, like using mostly practical effects, up the action to R-ratings (17+), or you know, start making movies for adults. I think the major studios get the basic concept that a good film makes more money than a bad film. The latest transformers made a billion dollars but if it was good it would have made way more.